Congratulations, Matt Griffith, on your Meemic Foundation grant. Matt is a teacher at Hancock Middle School in Houghton. Cindy Blake of Bob Hager Agency in Chassell presented the Matt with his award. 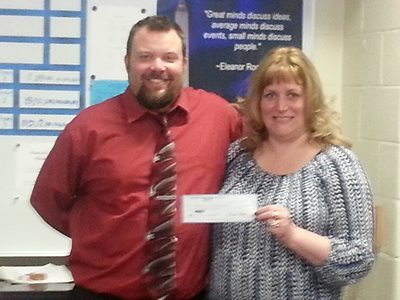 He’ll use the check to purchase a new overhead projector to enhance multicultural learning in the classroom.